Last week at MOPS I shared something special that God placed on my heart and I want to share with you. I wanted to make a craft and was asked to prepare a devotion to accompany it. 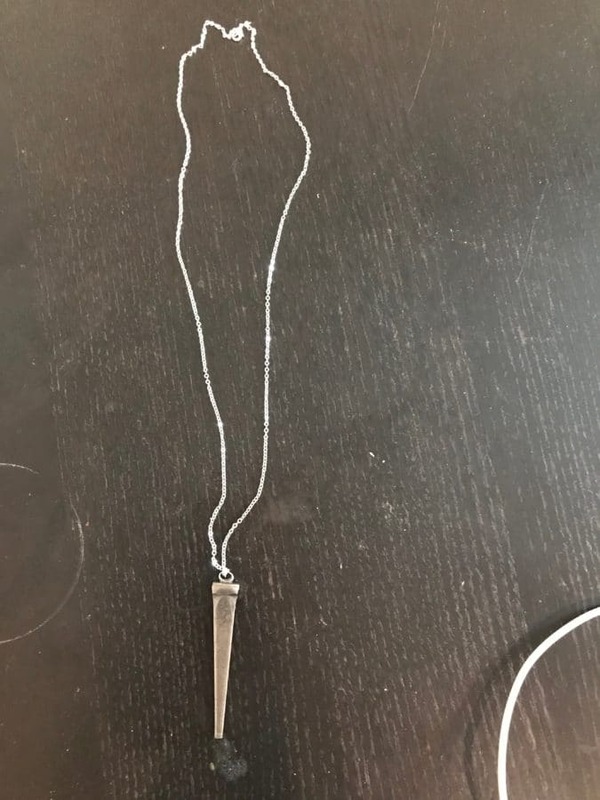 The craft was a nail necklace. Masonry nails were purchased at Lowes, jump rings at Michaels, and 26-inch chains in silver, rose gold, and gold. I glued the jump ring on the top of the nail with E6000 glue to form a charm and done, a necklace perfect for Good Friday. When I was thinking about this week’s meeting (and hoping we would have it…thanks to the snow storms) I thought about Easter. Is my heart ready? My house is ready, but what about my heart? This past year for Christmas was the first time that I really settled down to enjoy and think about what Christmas means that to Loving my Actual Christmas, but what about Easter. I think of my mom wearing her nail pin on every Good Friday and one Good Friday Service that impacted my life. As a preacher’s kid going and doing all the church traditions can feel like you’re going through the motions. This Good Friday service my dad did something different-he had the song the Via Dolorsa playing (and if you don’t know it, it talks about Jesus carrying the cross down the street called Via Dolorsa-the way of suffering-while people were shouting out for his death. The same people a week before cheered and praised him) as the song was playing my dad hammered a nail into a piece of wood. Hearing these sounds put the picture together for me. These nails symbolize that we have freedom in Christ. It doesn’t matter what you have done in your past or present. He loves unconditionally. Nails carried our sin to the cross and He made us right with Him for the world to see. We are free, not bound in chains.